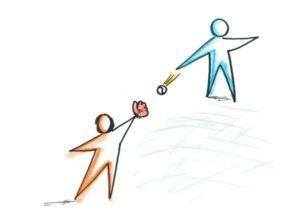 Throw and Catch – This is such a simple concept, simply get a ball of some sort and pass it back and forth to each other. Could it be simpler? These days we think it has to be the latest gadget or toy, but the classic ball/catch game is super-fun and will keep the kids going for ages, especially the boys. 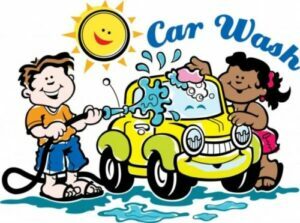 Wet-Washy Car Wash – This is dads favorite and for good reason, he drives it to work every day, but seriously get some warm water and bubble the bucket up, get prepared to get wet and let the fun begin! Every man should learn to wash his car and kids learn when there is fun to be had. Bug Hunt – This is a game of investigation and involves turning over stones and trying to make a list of all the different types of bugs, their functions and what they like to eat. 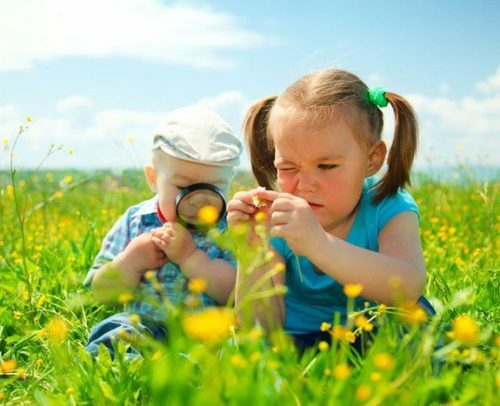 This is a great way for them to start appreciating all the different worlds within the world, simply by going outside. 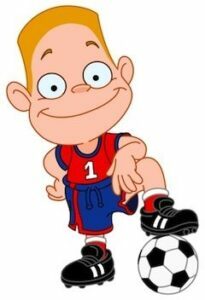 Soccer shoot-out – There could be a “Ronaldo” or “Messi” in the making and it could be all starting from your backyard, its simple to do and always fun, so make sure the parent commentary is heard and the hype is keeping penalty shoot-out tensions high! Water Fight – This is a really fun game that can go from simple splashes of water to water guns, teams and scoreboards, it’s really up to the imagination. Paint & Print Water Art – Really messy and loads of fun, get the kids using their hands, feeling the creative juices flowing and having a great time making their own little masterpiece. Making a Swing – Making a swing is a lot easier than it sounds and the kids love the whole idea of finding the right tree, getting the rope around the branch and then, of course, the act of swinging itself is phantasmagorical. Plant and Watch it Grow – The act of planting is maybe traditionally for granddad, spending hours outdoors with his bucket-hat on and spade, but kids enjoy this too, just get creative with the narrative and make sure you get a plant that will grow and not die over the next few days. 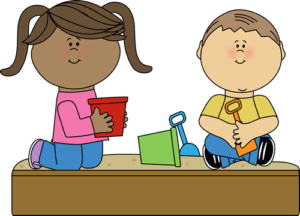 Sandbox – Sometimes the simple sandbox can give the children hours of castle building fun, tunnel creating and empire constructing, so either make your own box for the back garden or buy one, they are not that expensive and pay dividends over the long run. Rock painting – There are rocks in most backyards, if not at a friends place and simply collecting and gathering them can be fun, getting the wheelbarrow, digging them up, so why not include painting them too, it’s a days activity and won’t cost much and loads of fun for the kids. Tree Climbing – This was one of mine in the early days and gave me hours of countless fun. Time spent up a tree is time well spent, especially when the pirates would come (mum hanging out washing) and I would pretend I was up in the crows nest keeping a lookout for pirates wanting to steal our treasure. Street Car Boot Sale – Get the kids on a house clear-out and help de-clutter the house. This is loads of fun and the neighbors will get into the spirit of it, especially if you make some signs or posters to add to the allure. Outside Family Meal – The garden is full of surprises and every time I have done this there is always something magical to hear, see or feel. The outdoors is naturally thought to provoke, allowing you and your kid’ imaginations to run wild, hopefully, you come up with a few past times as well. Paint with Mud – All gardens will have a little bit of mud larking around in some dingy corner, that you usually like to stay clear from, however, this can be a place to provide some messy art material and super cheap (free) as well. Gather up the different mud that is scattered in different parts of the garden and soon you have a color tray, then just get painting and enjoy. Sliding – Why not, depending on the season, make a slide out of foam or in winter with the fallen snow. This is always fun and will bring the life back into the day when all seems to be a little mundane. Hiking – How about getting those little legs stretched and off their little bums. Hiking is a time for exploration, discovery, fun, thoughtfulness and getting outdoors and in touch with nature. Swimming – Sometimes the day is really hot and the sun is providing an opportunity to get the blow-up pool out and get wet. Other ways are heading down to the local pool or stream to enjoy what nature has intended. Beach Day – This needs no explanation and says what it is without any further info needed. Get the car packed, sun cream and hats on and down to your local beach if its within close range. Bird Feeder – Make a home for a little bird and watch as the seasons change and new life is brought into your home, simply get the necessary materials and dad with his DIY skills. Dog Walk – Sometimes just getting the kids to participate helps create an awareness of the interconnected of life and how sometimes nurturing an animal means simply helping them do their messy business. Puddle Jumping – Why not? Just get those wellington boots on and get out in the rain and jump about, sounds strange, well it is a little, but hugely entertaining and the neighbors will get a good laugh too.